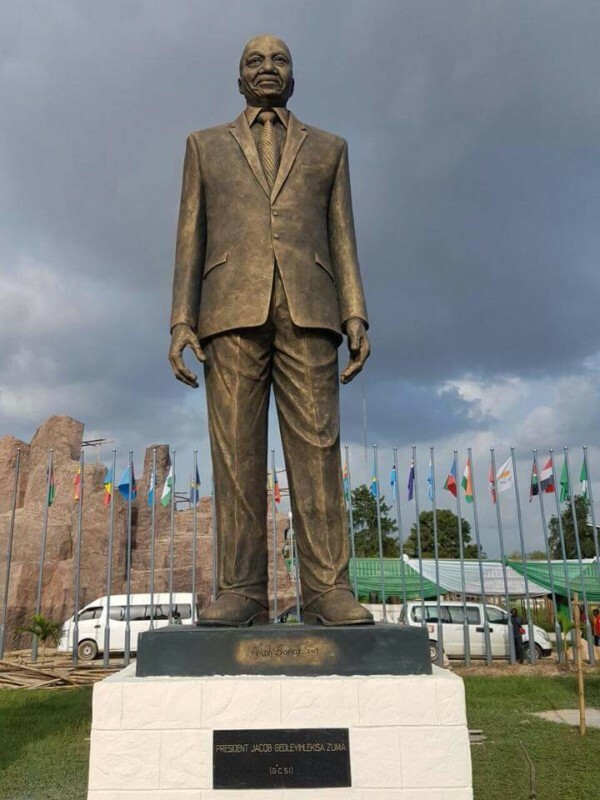 A civil society organisation, the Civil Society Network Against Corruption, on Sunday berated the Governor of Imo State, Rochas Okorocha, for playing host to the President of South Africa, Jacob Zuma. CSNAC, which noted that Zuma had been indicted for corruption in South Africa, expressed strong displeasure at the heroic treatment given to him by Okorocha, describing the governor’s gesture as an embarrassment to the All Progressives Congress, which is fighting corruption. It said it was unconscionable that Okorocha would treat Zuma to such a lavish celebration, when the citizens of his country were displeased with him over alleged corruption and were demanding his resignation. The group said it was particularly miffed that Okorocha allowed Zuma to address a group of selected secondary school pupils and other young people in Imo. CSNAC said, “Is Governor Okorocha not aware that Mr. Zuma has also been indicted for allowing an Indian family to influence the appointment of his cabinet members? “In asking President Zuma to address officials of the Imo State Government, is Governor Okorocha not aware that the people of South Africa are currently demanding the resignation of a leader who has allegedly brought shame and dishonour to the country of Nelson Mandela? The group said the APC-led Federal Government should have cautioned Okorocha and advised him “not to celebrate corruption,” stressing that the governor must tender a public apology to Nigerians. CSNAC also lashed out at ex-President Olusegun Obasanjo, for receiving Zuma in Imo.